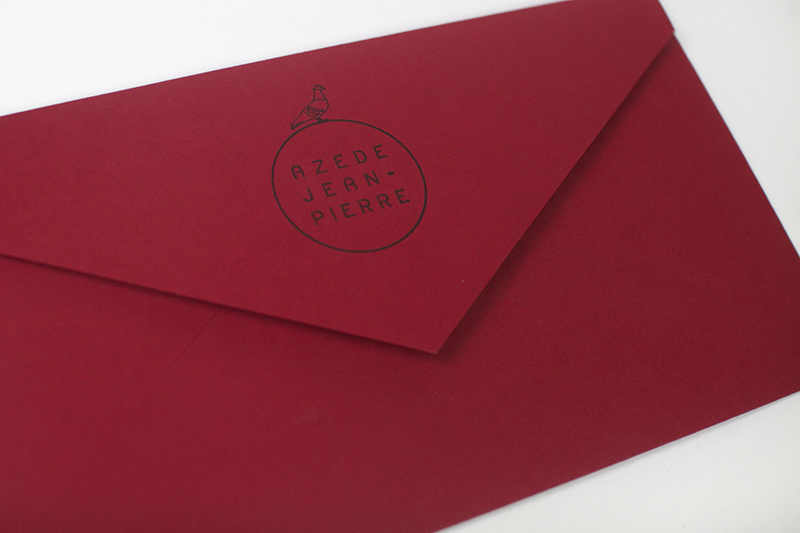 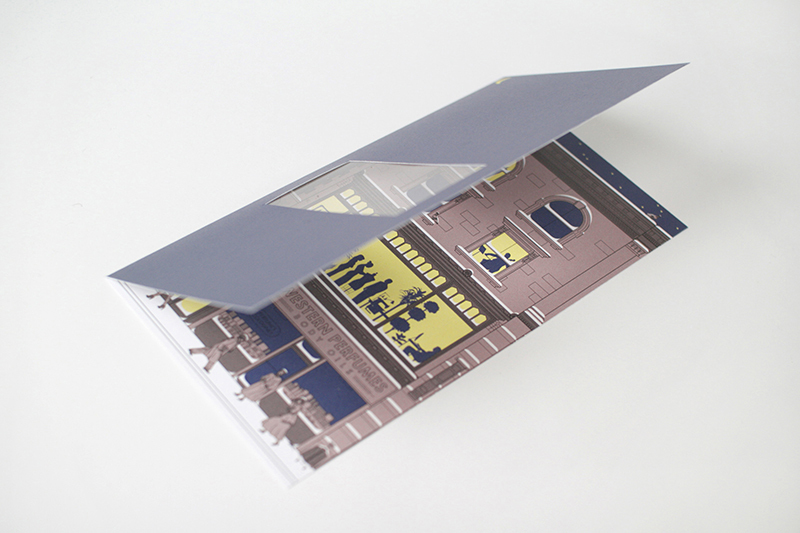 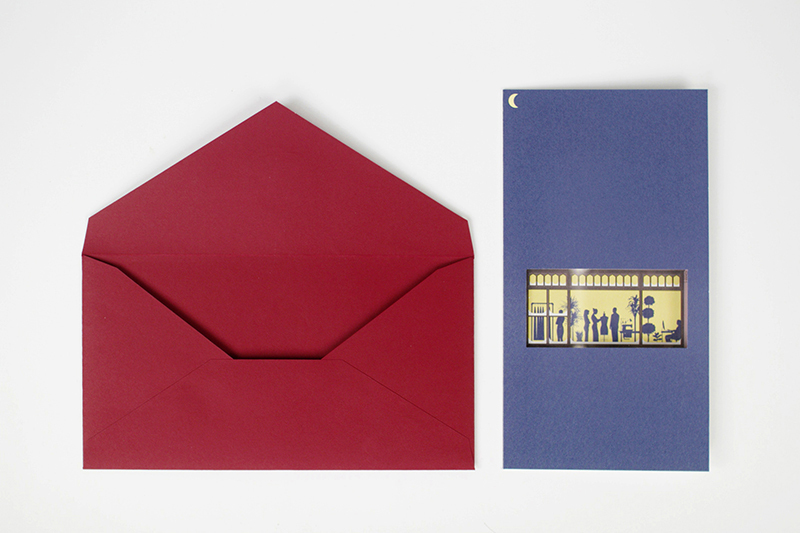 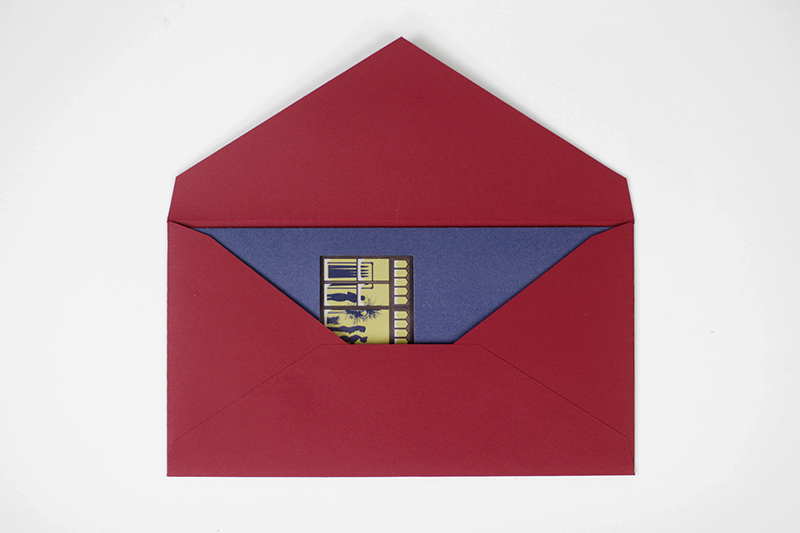 A holiday card was created to send out to friends and clients of the fashion studio Azede Jean-Pierre. 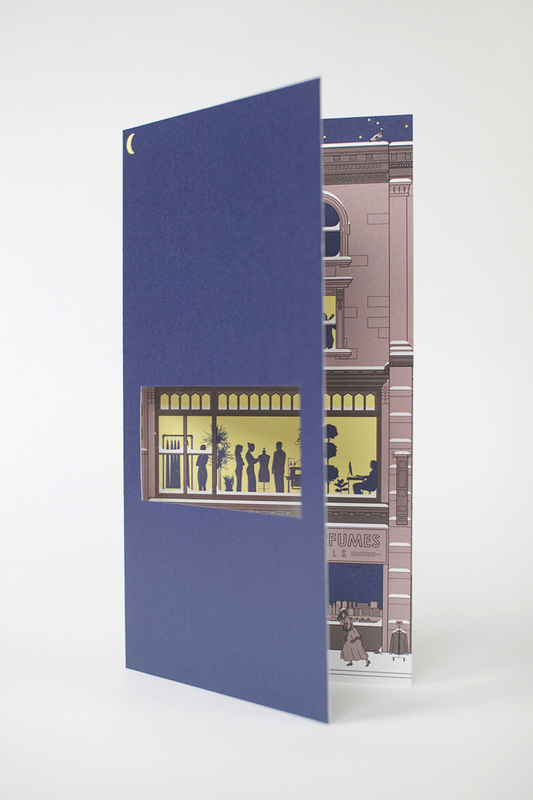 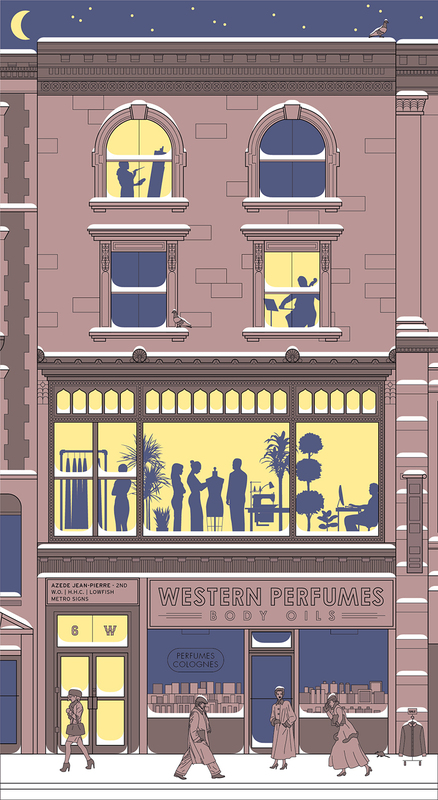 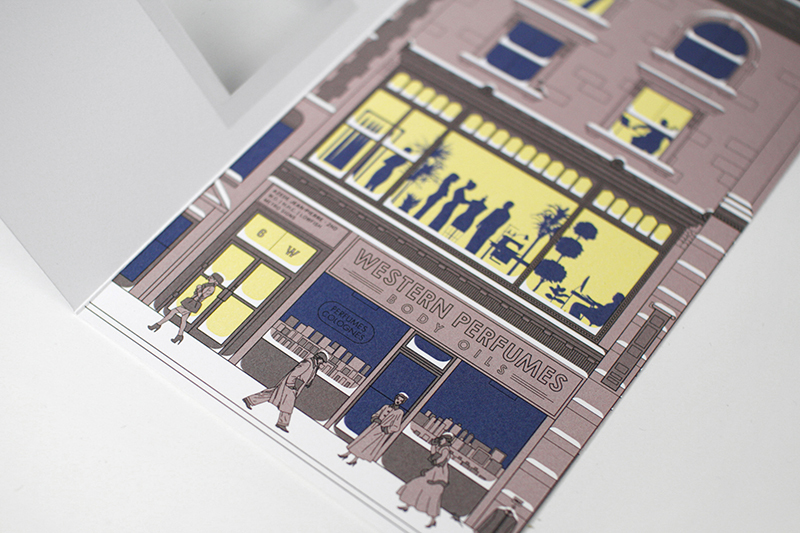 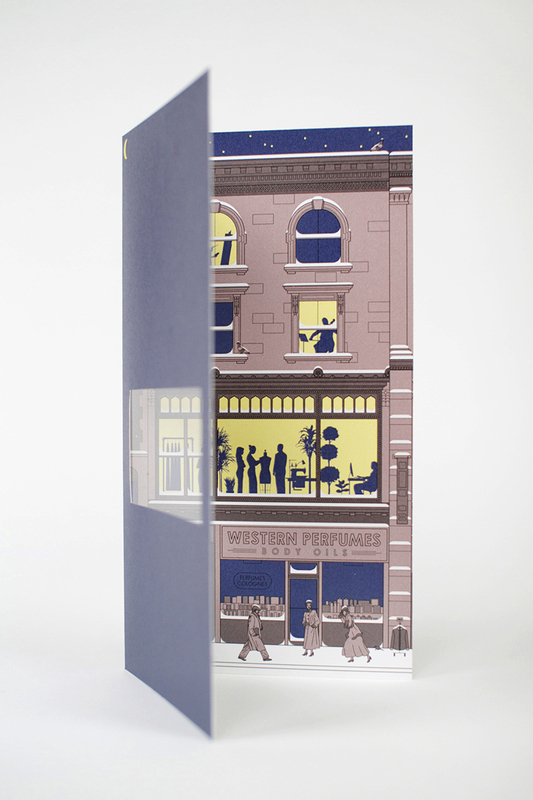 The studio's location on 28th St. in the heart of the Flatiron District of Manhattan was very dear to the team's heart, so an illustration was made depicting the facade of the building. 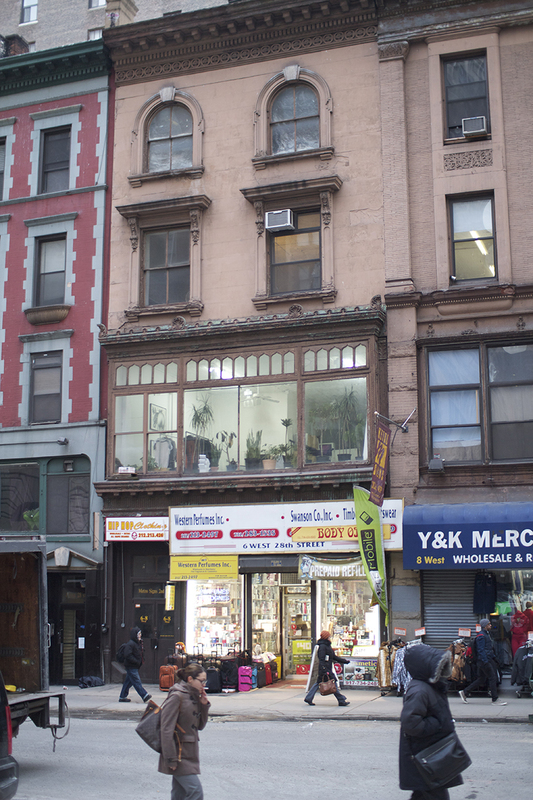 The studio occupied a room on the second floor of a historic building, with a floor-to-ceiling window facing the street. 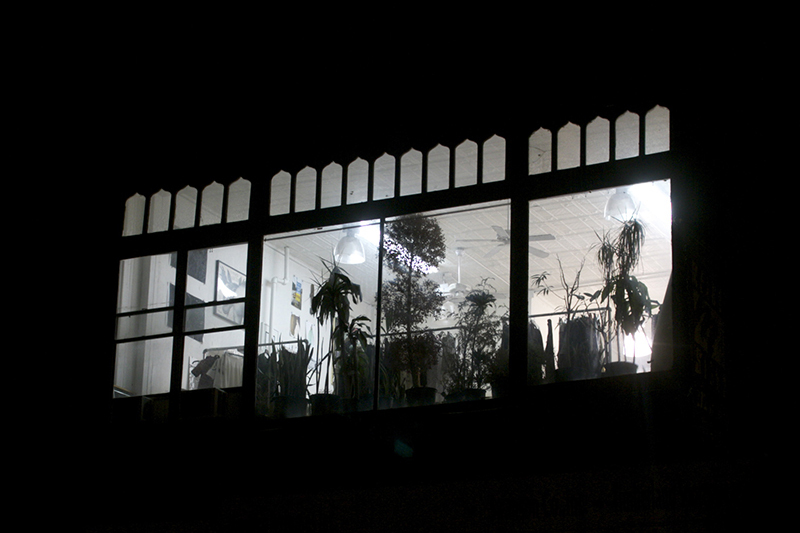 Leading up to fashion week, the team would often work late into the night, and from the street you could see a bright large window surrounded by darkness, with several designers bustling around inside. 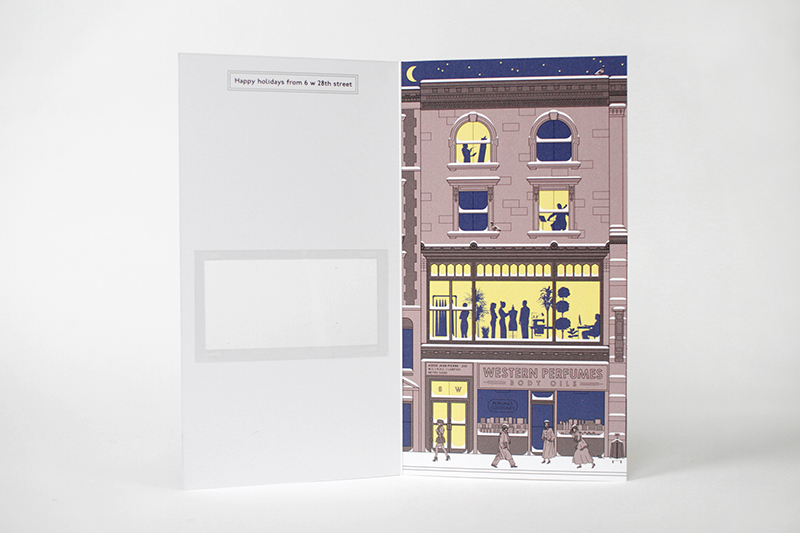 When closed the card shows this night view, and when opened it reveals the rest of the building and sstreet. 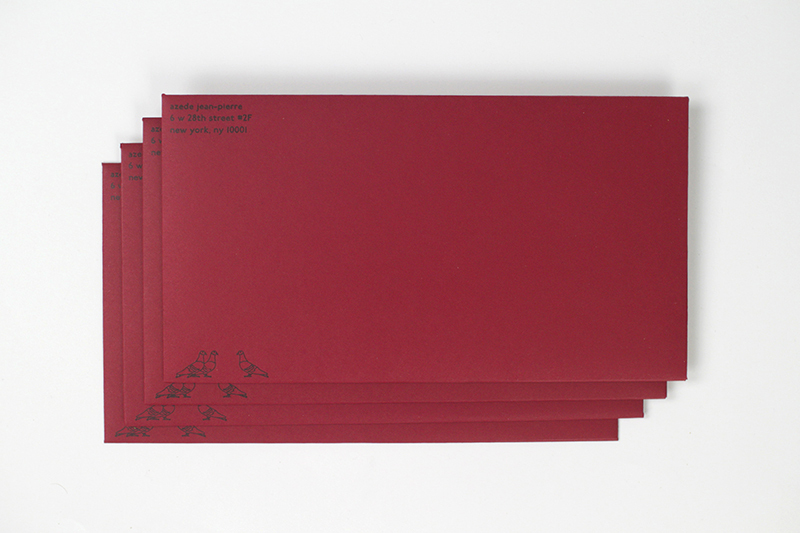 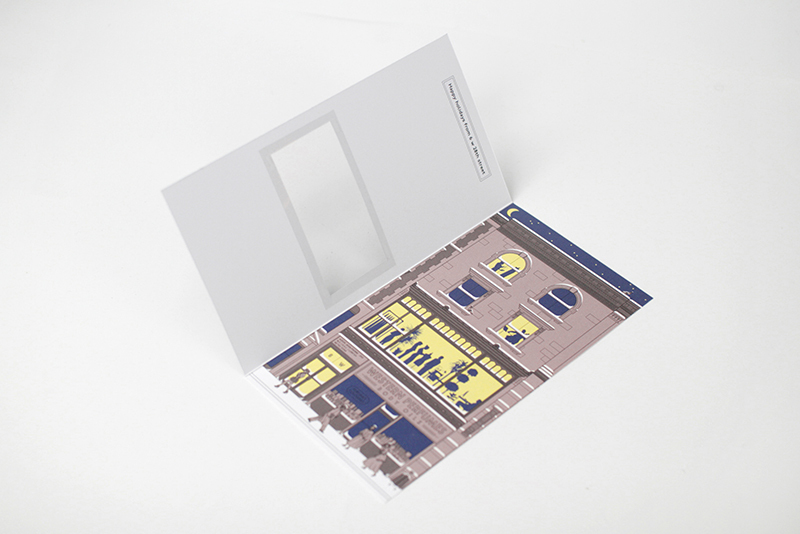 Pigeons roosting on the front of the building were printed on the front of envelope as well, with one perched on the logo printed on the back flap.